USAPersonalTrainers.com can help you achieve your goals, faster and more efficiently than on your own or at a big box gym. If you’re not sure what your goals are, Hank has decades of experience and knowledge of a variety of methods and approaches that he utilizes that can help you to figure it out. Hank’s approach is hands-on, and your personal success in your program is paramount. Whether you are interested in losing weight, gaining muscle, or recovering from a sports injury, USAPersonalTrainers.com wants to get you on your way to that achievement. Working with a Personal Trainer can greatly increase your success in reaching your personal fitness goals. In addition to creating a program that encompasses what you want to achieve, USAPersonalTrainers.com makes sure that you maintain consistency and regularity in your workouts. Keeping a good schedule, proper pace, and staying motivated are all of great importance. Hank has trained and coached hundreds of people over his career, and his experience has taught him that being a true source of motivation to his clients is the one thing he enjoys the most. Exercise Training is not just about hitting the gym a few times a week for a couple months. The goal of USAPersonalTrainers.com is to give you tools and programs that you can use for a lifetime–and the desire to do so. You gain the knowledge and understanding of what keeps you going in your workout and training routines. As you progress and continue to achieve your goals, Hank can help you to reach further and gain higher levels of fitness, agility, and strength. Your programs adapt to you as needed to make sure you are gaining the maximum level of achievement. Following recommendations from your physician, physical therapist, or other health care provider, USAPersonalTrainers.com can assist in your recovery. Let us get you back 100% to your health active lifestyle, sports, and physical fitness activities. 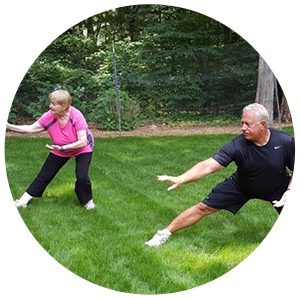 Contact USAPersonalTrainers.com right away to find out how Hank can help you achieve your fitness goals with Personal Training services.